The UK skincare company Bodhi & Birch was Founded by Elijah Choo, his creations draw inspiration from the healing power of nature and traditional botanical remedies, bringing together Eastern and Western skincare and wellbeing philosophies. Everything about this company has nature, sustainability and the environment in mind even down to the FSC certified packaging. 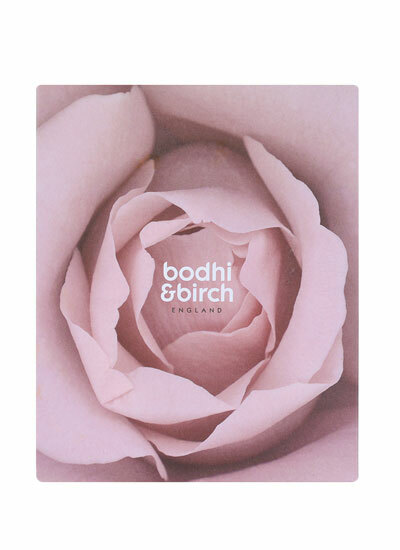 If you have not tried Bodhi & Birch I want to bring you an introduction to this gorgeous brand, the company is so confident in it's products it allows you to purchase Sample and travel sizes in the confidence that you will certainly fall in love and return for more. This was how my affair with the brand started. My skin is mature and can be dry especially when the weather changes and the central heating goes on. 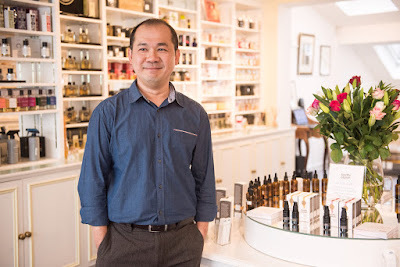 The facial skincare range I chose was Rosa Rosa recommended for normal to dry skin. The moment you apply this cleanser you are enveloped in the most beautiful Rose fragrance, it leaves your skin feeling really soft and fresh. Again the most beautiful fragrance, this gentle toner really cleans away any last traces of cleanser. I then applied Desert Rose Rejuvenating Face Oil, a tiny amount is all that was needed. This oil melted into my skin leaving a great base for the moisturiser. This moisturiser is really thick and creamy again with the heavenly rose fragrance, it really did leave my skin feel refreshed, soft and hydrated, this continued throughout the day and continued into the evening, which is pretty rare for me as my skin tends to lose moisture gradually through the day. As you can see by the lists of ingredients Bodhi & Birch really have sourced the best from across the globe. 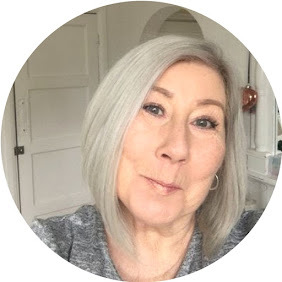 The next products I sampled where from the Indulgent body care range, I chose Jasmine falls Bath and shower therapy followed with Jasmine Falls body moisturiser. The ingredients included Jasmine ( obviously ) Lavender and Vetiver, this product promised relaxation and a feeling of wellbeing ideal for a good nights sleep, they weren't wrong, it was like an aromatherapy treatment, the fragrance was really heady and relaxing, I used it as a shower gel and to be honest |I think had I used it in the bath would have fallen to sleep, woke up in cold water and skipped the moisturiser :) as it was I used both products, my skin felt lovely and I had a great nights sleep. I did pop on a few drops of the Desert Rose face oil for the real aromatherapy feeling, honest to god falling to sleep with that fragrance is just heaven. It really is worth getting yourself some sample sizes from across the ranges for little indulgent treats that will have you going back for more, having had a great experience.